!!FREE!! Scotchgard Protector Residential carpet cleaning service. 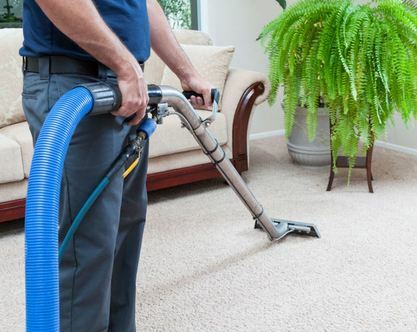 ​ Welcome to our website and the home of the best residential carpet cleaning experts in Columbus Ohio. We specialize in residential floor care and upholstery cleaning services. Carpet care is important for all homes that have carpeting due to many reasons. The fibers collects a lot of dust which ends up irritating those with allergies and or asthma. A simple and affordable cleaning can prevent this from ever happening. We try our best to keep it clean but there’s only so much we can do. Having a routine shampoo service completed will prolong its life. Flooring is expensive to replace but with the proper care it can last a long time. Some of our carpet cleaning customers have carpet that’s over 15 years old, and it still looks new. They have it cleaned every 6 months and have scotchgard protector applied after every cleaning service this is what makes it last a long time. There are many misconceptions when it comes to having your carpets cleaned during the wintertime. We offer carpet care and upholstery cleaning service year round. This is when it’s most important to have your carpets cleaned. All of the rain and snow that we get in Columbus Ohio gets brought into our homes and left on our carpets leaving behind heavy stains that become permanent. ​Mct carpet care always recommends continuing your carpet clean maintenance plain throughout the winter months. Call today for your carpet cleaning service 614-468-8778 or fill out the contact form. How long will my carpet be wet? Due to the steam cleaning method we use your carpet dose get wet during the cleaning process. In most cases your floor will be dry in 6 to 8 hours. There are a few things you can do to speed up drying. Air movement is going to be the most affective way ceiling fan, box fans, and depending on the season air conditioning or heat will help as well. Can steam cleaning help with allergies? In fact yes many studies have shown the that proper care will tremendously reduce allergies of many kinds like, pet dander, mold, dust, and many other seasonal allergies. We have a few customers that have children with asthma and due to their condition they have us clean on a regular basis. Can you removal candle wax from carpet? This is a very common question we are asked and the answer is yes. Candle wax is very easy/hard to remove depending of a few factors. The wax its self is easy to remove it’s the colored die in the wax that can cause an issue for us. In some cases the die can permanently alter the fiber. If you are faced with this problem give us a call today. What stains can be removed with cleaning? Most common stains can be removed with standard cleaning methods like soda, dirt and mud but heaver stains like coffee, wine, blood, rust, and pet urine have to be treated a little different. Specialized spotting agents give us the ability to successfully remove the heaver stains. Some stains are unfortunately are permanent. How often should I have my carpet cleaned? Residential carpet cleaning should be done a minimum of once a year. If your home gets a lot of traffic then you should consider having your home cleaned more often. The winter season is the most damaging time for flooring and sometime it requires you to have it cleaned during the winter months. If you are in need of service call our office today at 614-468-8778. Carpet care tips from a pro. At some point in time you will be faced with a spill on your carpeting and cheap carpet cleaners are not the answer. This is where the proper carpet stain removing service comes in handy. We tell our customers to never use any kind of carpet spotters you can get from the local store. Most of them are just full of soap and sets the stain deeper in the fibers of the carpet. Depending on the spill you are dealing with will depend on how you treat it. The most common spills are soda, kool-aid, milk, wine, paint and coffee. We recommend using just water to remove as much as possible and let us remove the rest.